RE Interceptor 650 and Continental GT 650 have made sales of 629 units for December 2018. The figures stand much higher than KTM Duke 390. The monthly sales chart for December 2018 has come and we get to know that the Royal Enfield 650 Twins are a hit. Interceptor 650 and Continental GT 650 made 629 units for that month. The Twins were launched in November last year. The deliveries of the bikes began by the end of December 2018. The figures for December have nearly doubled up since November, where it sold 350 units. The figures seem comparatively low, but due to the slower production of motorcycles, the sale has been down. Royal Enfield is going to ramp up the production speed of the 650 Twins. Based on the sales figures, Interceptor 650 and Continental GT 650 are better selling than KTM Duke 390, TVS Apache RR310 and Kawasaki Ninja 300 combined. Duke 390 garnered 106 units, Ninja made 220 units and Apache RR310 made 185 units. Combined, these three bikes made 511 units for December. 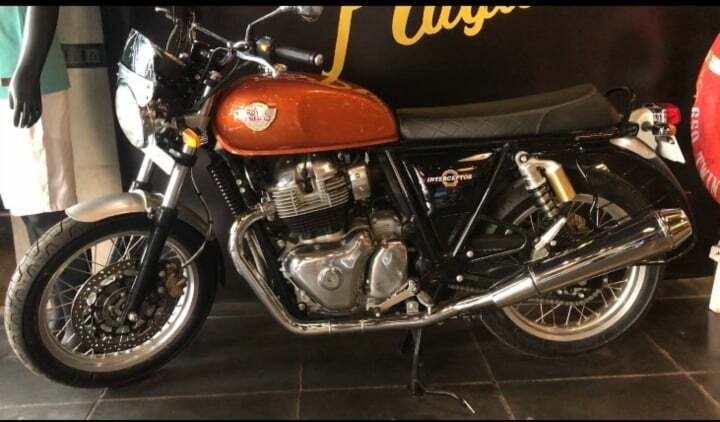 If we put the Interceptor 650 against other Royal Enfield motorcycles, it has garnered more sales than Bullet 500, Thunderbird 500 and Himalayan. Bullet made around 106 units, Himalayan made 497 units and Thunderbird made 138 units. Also Read: Royal Enfield Continental GT 650 complete accessory list out! The RE 650 Twins are the flagship products globally. While the Interceptor 650is a Classic Roadster, GT 650 is a typical cafe-racer. Both use the same engine, chassis and mechanical parts. However, both use different styling and different riding styles. Both use a 648cc twin-cylinder air-cooled engine that produces 47 BHP and 52 Nm of peak torque. The engine comes mated to a 6-speed gearbox. Currently, the deliveries of the 650 Twins are running a little late. The waiting period has now gone up to 3 months, depending on the colour that you choose. Earlier reports suggest that Chrome and Custom paint models are better selling than the base variants. Also Read: 2018 Royal Enfield Thunderbird 350X Vs 500X: What’s The Difference? Interceptor 650 is priced from Rs 2.5 Lakhs going up to Rs 2.7 Lakhs. The GT 650 is a bit more expensive from Rs 2.65 Lakhs to Rs 2.85 Lakhs (prices ex-showroom).